When it comes to the super rich it can be argued over who is the most powerful - Vladmir Putin, Mark Zuckerberg or Bill Gates. But for the measure of the richest their is no dispute - Amazon founder Jeff Bezos is now the richest man in modern history after his fortune topped $150billion. His wealth has increased by over $60bn in the last 12 months which places his worth higher than that of Microsoft co-founder Bill Gates, who has previously topped the rich lists - even at his peak in 1999. 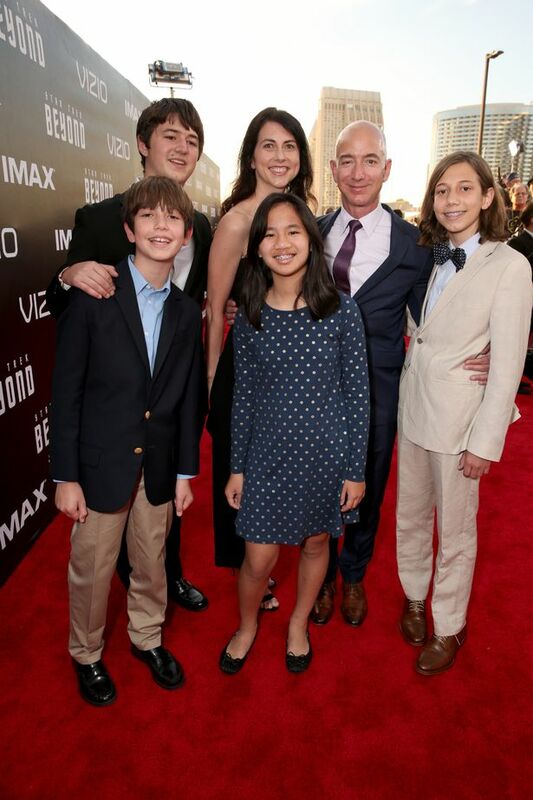 It's been a extraordinary rise for Bezos who was born in New Mexico in 1964, the son of a teenage bride and his father deserted the family at a young age. But he was a gifted child who won a place at Princetown University, where he graduated in electrical engineering and computer science. 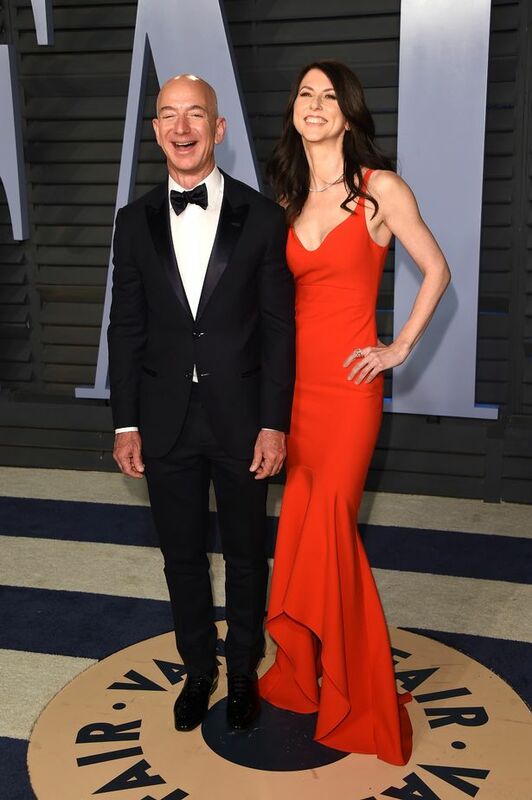 Bezos met his wife, MacKenzie, a novelist, while they were both working at a New York hedge fund. She made first move and asked him out to lunch. They were engaged within three months, and married within six. He quit that job and moved to Seattle to start Amazon and the couple have four children. He has a hands on parenting style which means not scheduling early morning meetings taking his kids on foreign trips wherever possible. In one interview he said he let his four kids play with knives at age four and power tools since age seven because he said “allowing them to take risks and be self-reliant teaches resourcefulness — a key trait both in business and in daily life”. Bezos gives very few interviews but those who have met him describe him as being “energetic” and “optimistic”. Others call him “intense” and with a laugh that’s a “cross between a mating elephant seal and a power tool”. Notoriously meeting shy he is said to see investors only a handful of times a year and has a “two pizza rule” meaning that he will only hold meetings where two pizza would be enough to feed the number of people taking part. 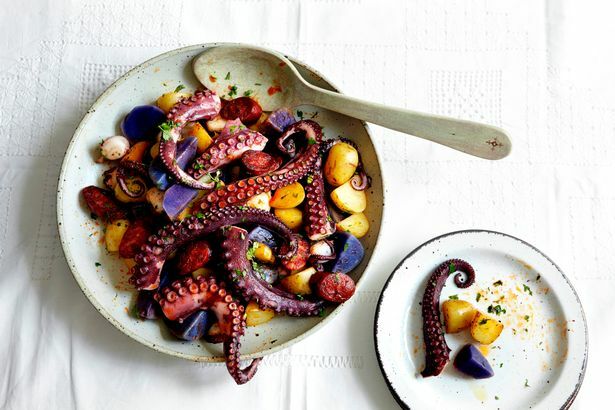 On the subject of food Bezos has a taste for unusual dishes and reportedly during a meeting with founder of online retailer Woot, Matt Rutledge, he ordered octopus with potatoes, bacon, green garlic yogurt, and eggs for breakfast. 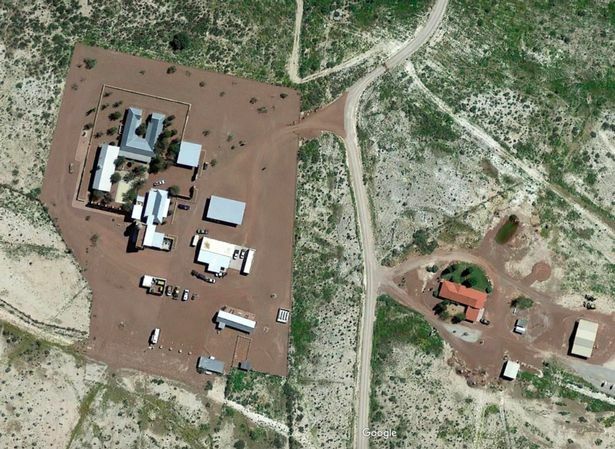 It was just one example of the eccentric lifestyle details Bezos adheres to. When at home despite access to the world's state of the art tech there's one after-dinner ritual he always adheres to: washing the dishes. 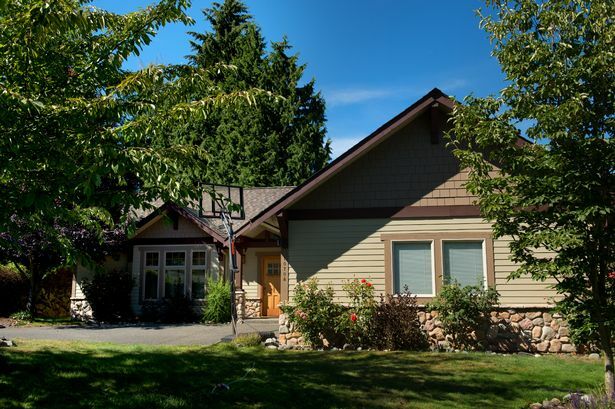 Until around 1999, Bezos and his wife lived in a one-bedroom rental house in Seattle. But today, they own at least five houses across the US, in Medina, Washington, Beverly Hills, Van Horn, Texas, DC, and Manhattan. 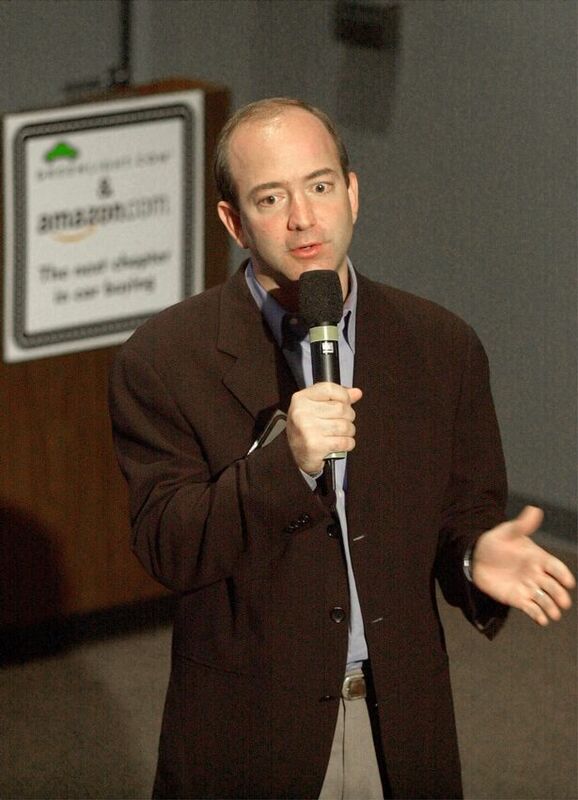 His empire makes Bezos the 25th largest landowner in the US, according to Business Insider. 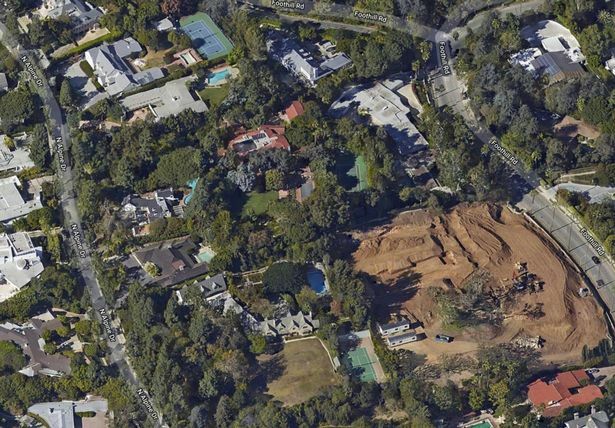 The house portfolio includes two adjacent properties in Beverly Hills, California: A four-bedroom home with a swimming pool worth £9.5million and an £18million, 28,000-square-foot mansion complete with tennis courts and a six-car garage. In 2012, he purchased four linked apartments worth a collective £12.5million in an Art Deco building on Central Park West, New York, according to Wealth-X. His latest home is a 27,000 sq ft former Textile Museum in Washing ton which he bought for $23million and is having converted into a house. The historic museum comprises two Georgian-style mansions with wood-panelled rooms, fire places and marble flooring. 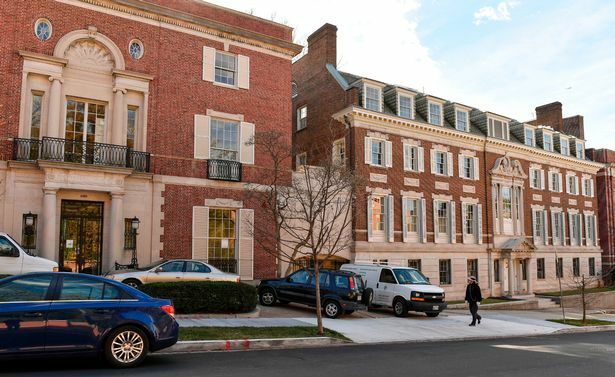 Bezos' neighbours will include President Obama and his family, Ivanka Trump and her husband Jared Kushner. Away from work he is a star trek fan and even made a surprise cameo in the 2016 film "Star Trek Beyond." Bezos has another space-related interest. 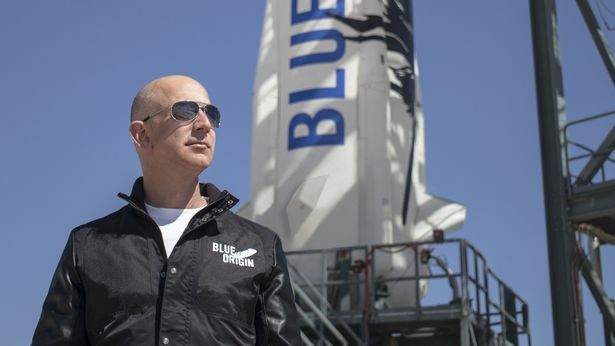 He founded aerospace company Blue Origin to make space tourism more affordable. He also has a personal submarine which he take to the ocean to looking for old NASA rockets - often brings his kids along for the adventure. He financed the recovery of the remains of several Apollo booster-rocket engines from the bottom of the Atlantic Ocean 14,000 feet down. He is renowned for his frugal approach to wealth - when he first became rich, Bezos upgraded his Chevy Blazer to a Honda Accord. He does own a top-of-the-line, $65 million private jet, the 2015 Gulfstream G-650ER, via his holding company, Poplar Glen. Bezos has also used his bulging wealth to venture into other areas. 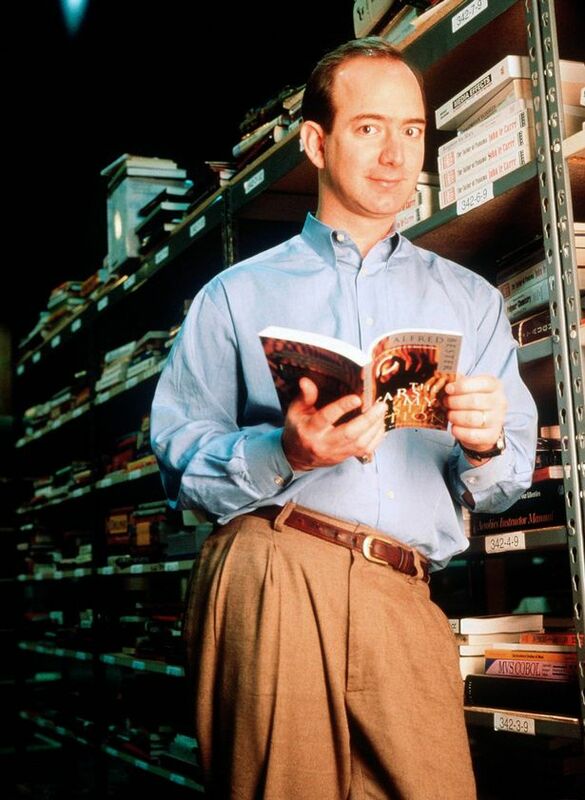 In 2013, he paid €230million for The Washington Post newspaper – and circulation of the title has surged under his ownership and he bought the chain Whole Foods for $13.7billion - in cash. Although technically the richest person in the world Bezos exact fortune fluctuates due to the stock price of Amazon. 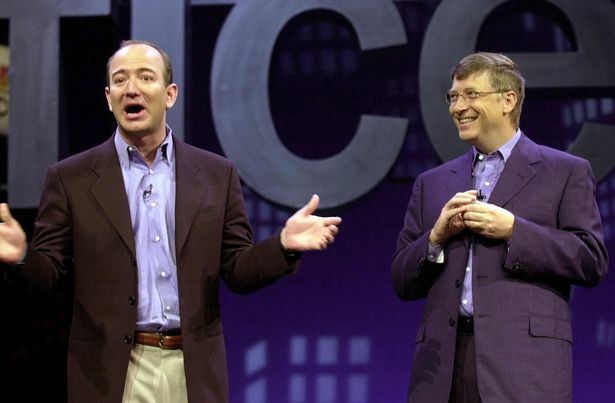 The only man to rival Bezos fortune is Microsoft founder Bill Gates who would have had the opportunity to cross the $150 billion threshold were it not for his philanthropic initiatives. He donated close to 700 million Microsoft shares to the Bill and Melinda Gates Foundation, along with $2.9 billion in cash and other assets since 1996.